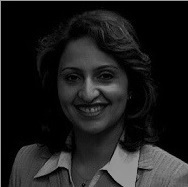 DR. ZUNAIRA MUNIR is Advisor to DAMSON Group for Blue Ocean Strategy, CEO of Strategize Blue, and Vice President and Senior Member of the Global Blue Ocean Strategy Network. She has been working directly under Professors Chan Kim and Renee Mauborgne (Founders of Blue Ocean Strategy) since 2006 on various Blue Ocean Strategy projects and initiatives worldwide. With a client list that reads who's who in business, she has worked with a number of Fortune 100 and other prominent companies and non-profit organizations around the world. As Chief Strategy Officer for Clary Business Machines, she played an important role in taking the company to the top 31% of America's 5000 Fastest-Growing Private Companies as ranked by the INC Magazine. She holds a PhD in Management Science and Engineering and an MBA. KEY CONCEPTS IN INNOVATION, a book she co-authored and Palgrave McMillan published in 2011 is being widely used in business and engineering schools worldwide. She has lived and worked in six continents around the world and brings a fascinating multidisciplinary and multicultural view to her clients. Intel, Coca-Cola, Pfizer, HP, Genetech, LARK Group, ICEPCO, Autodesk, T-Mobile, Honeywell, Reckitt Benckiser, US Bank, Conexion Global, Clary Icon, Deloitte, Tyco, Virbac, Medtronic, Valvonline, Center for Non Profit Management (CNM), World Kitchen, We Group, Clary Business Machines, CalChamber, RJ Reynolds, POSCO, Keypoint, AAF, Handy & Harman, DataPath, TOLL, The Center for Wealth & Legacy, Paul L. Henney Memorial Chapel, Tecnologico De Monterey, AIM, Western Council of State Libraries, HSW, GREIF, The Ohio State Medical Center, InterCall, ASU, Califa, Center for Connected Health, NAPIM, San Diego State University, University of San Diego, Grupo Coomeva, Haines Center for Strategic Management, DeVry University, and University of California Irvine.